Sedentary (sitting) behaviours are ubiquitous in modern society. We conducted a systematic review and meta-analysis to examine the association of sedentary time with diabetes, cardiovascular disease and cardiovascular and all-cause mortality. Medline, Embase and the Cochrane Library databases were searched for terms related to sedentary time and health outcomes. Cross-sectional and prospective studies were included. RR/HR and 95% CIs were extracted by two independent reviewers. Data were adjusted for baseline event rate and pooled using a random-effects model. Bayesian predictive effects and intervals were calculated to indicate the variance in outcomes that would be expected if new studies were conducted in the future. Eighteen studies (16 prospective, two cross-sectional) were included, with 794,577 participants. Fifteen of these studies were moderate to high quality. The greatest sedentary time compared with the lowest was associated with a 112% increase in the RR of diabetes (RR 2.12; 95% credible interval [CrI] 1.61, 2.78), a 147% increase in the RR of cardiovascular events (RR 2.47; 95% CI 1.44, 4.24), a 90% increase in the risk of cardiovascular mortality (HR 1.90; 95% CrI 1.36, 2.66) and a 49% increase in the risk of all-cause mortality (HR 1.49; 95% CrI 1.14, 2.03). The predictive effects and intervals were only significant for diabetes. An erratum to this article can be found at http://dx.doi.org/10.1007/s00125-013-2842-z. The hazards of high levels of sitting were first highlighted in the 1950s when J. Morris et al identified a twofold increase in the risk of a myocardial infarction in London bus drivers compared with active bus conductors . In the following 60 years research has focused on establishing the links between moderate-to-vigorous intensity physical activity (MVPA) and health, largely overlooking the potentially important distinction between sedentary (sitting) and light-intensity physical activity. The opportunities for sedentary behaviour in modern society, such as watching television (TV), sitting in a car or using the computer, are ubiquitous. As such, sedentary behaviours are an important facet of human lifestyle. Objective measures have demonstrated that the average adult spends 50–60% of their day in sedentary pursuits . The term ‘sedentary’ comes from the Latin ‘sedere’ (to sit) and can operationally be defined as any waking sitting or lying behaviour with low energy expenditure. This operational definition broadly fits with the commonly cited technical definition of <1.5 metabolic equivalent units . The term ‘sedentary behaviour’ therefore typically refers to sitting/lying behaviour rather than a simple absence of MVPA [3, 4]. In the past decade interest in sedentary behaviour research has been reignited. To date, two narrative systematic reviews and a meta-analysis of sedentary behaviour and health outcomes in adults have been published. The systematic reviews examined a range of outcomes, including diabetes and mortality, with both identifying moderate-to-strong evidence for an association with sedentary behaviour [5, 6]. However, these conclusions were based on a small number of studies and did not allow for a meta-analysis to be undertaken. A meta-analysis was recently published on the association between TV viewing in adults and type 2 diabetes (four studies), cardiovascular disease (four studies) and all-cause mortality (three studies) . However, although TV viewing is a common sedentary behaviour in leisure time, evidence suggests that it may not be a good representation of total sedentary time, particularly in men . To support the development of coherent evidence-based guidance with which to inform future research and public health policy, we aimed to quantitatively synthesise existing observational evidence relating sedentary (sitting) time to four key clinical outcomes: diabetes, cardiovascular disease, cardiovascular mortality and all-cause mortality. To our knowledge, this is the first meta-analysis of sedentary behaviour and health outcomes beyond just TV viewing. The term ‘sedentary lifestyle’ was only recognised as a medical subject heading (Mesh) term in 2010. As such, the study protocol included a comprehensive list of search terms to reflect the most common forms of sedentary behaviour. The search strategy also included the Mesh terms related to health outcomes and study designs. Text word, title word, abstract and subject headings were searched, in addition to several non-medical subject headings, to cover sedentary behaviours, diabetes, cardiovascular disease and cardiovascular and all-cause mortality. To be included in the review studies had to meet the following criteria: (1) cross-sectional or prospective design; (2) report data on adults ≥18 years of age; (3) include self-reported or objective measure of time spent sedentary; (4) report data on a relevant health outcome (diabetes, cardiovascular disease [defined as myocardial infarction, angina, heart failure, stroke, coronary/carotid revascularisation], cardiovascular or all-cause mortality). Studies were not included if ‘inactivity’ was reported as sedentary behaviour, rather than a measure of actual time spent in sedentary activities. This approach was taken because ‘inactivity’ is used within physical-activity research to define a category at the lower end of the MVPA continuum, typically a failure to meet the recommended 30 min of MVPA per day, rather than the absence of movement. Therefore such definitions of inactivity cannot be used to infer the amount of sedentary time undertaken . We searched OVID Medline to January week 2, 2012, Embase 1980 to 2012 week 2 and the Cochrane library from inception to January 2012. The search was limited to published articles written in English. The references of papers meeting the inclusion criteria were hand searched. Personal databases were also searched for relevant articles. Titles and abstracts were reviewed independently by E. G. Wilmot and C. L. Edwardson and the full text of any potentially relevant article was obtained. If any uncertainty existed, full text was obtained for discussion between reviewers (E. G. Wilmot and C. L. Edwardson). Studies that did not meet the inclusion criteria were disregarded at this stage. The study team developed a quality assessment tool with reference to MOOSE (meta-analysis of observational studies in epidemiology) and STROBE (strengthening the reporting of observational studies in epidemiology) [9, 10]. The total score available was 6 points (1 point for a prospective study design; if sedentary behaviour was self-reported, 1 for reported reliability, 1 for reported validity; 2 if an objective measure of sedentary behaviour was used; 1 if two or more confounders were controlled for; 1 if analysis controlled for physical activity; 1 for an objective measure of the health outcome [e.g. oral glucose tolerance test vs self-report to diagnose diabetes]). Two authors (E. G. Wilmot and C. L. Edwardson) independently assessed all studies for quality. Any discrepancies arising were discussed with S. J. H. Biddle, T. Gorely and T. Yates. A score of 5 or 6 was considered high quality, 3 or 4 moderate quality and 0 or 2 poor quality. A data extraction form was developed. Two authors (E. G. Wilmot and C. L. Edwardson) independently extracted data on the association between sedentary time and health outcomes. The measurement of time spent sedentary varied (e.g. hours per day, hours per week divided into quartiles or arbitrarily divided, for example, >14 h per week vs <14 h per week). To overcome this discrepancy in reporting, we compared outcomes associated with the highest sedentary time with the lowest. RR or HR, and 95% CIs comparing the highest level of sedentary behaviour with the lowest were extracted for each study. Where adjustment for covariates had been made the data were extracted from the model with the most comprehensive set of predictors (i.e. ‘most adjusted’ model). However, our analysis did not allow for adjustment by BMI or waist circumference as this may have represented a statistical overcorrection given that weight status is a likely intermediate variable in the pathway linking sedentary behaviour to adverse health outcomes. If data were available for more than one type of sedentary behaviour within the same cohort then data for sitting time or TV viewing were prioritised for inclusion. Where RRs were not given, these were calculated from adjusted ORs where possible using the method of Zang and Yu . HRs and incidence risk ratios were assumed to be equivalent to RRs and vice versa. If a study did not present adjusted results in a format suitable for inclusion or conversion to an RR, the raw unadjusted data was used to calculate RR. Where data were reported for men and women these were combined using a fixed-effects model and the pooled estimate was used, so that each study was included in each meta-analysis once only. RRs and/or HRs were transformed onto the logarithmic scale and pooled across studies using Bayesian random-effects meta-analysis (standard meta-analysis methods [classical inverse variance] were used for cardiovascular disease due to limited study numbers). In the random-effects model, the association between sedentary time and health outcomes was assumed to vary from study to study. To reduce between-study heterogeneity, we adjusted for baseline event rate using the logarithm of the observed control group rate (i.e. of disease in participants in the low sedentary time group) [12, 13]. Data are reported as mean effect hazard ratio and 95% credible intervals (CrI, Bayesian equivalent of confidence intervals). Pooled effects from a random-effects meta-analysis represent the average of individual study effects and may not accurately represent the different study populations, even where differences in event rate are controlled for, especially where levels of heterogeneity are likely to be high. Therefore, to comply with best practice, we also obtained estimates of the study-specific ‘shrunken effects’ and the predictive mean effect and interval. The predictive effect and interval are specifically designed to take account of heterogeneity in meta-analyses and widens the degree of uncertainty with increased heterogeneity [14, 15]; they therefore give a more robust estimate of the true effect size. The predictive effect and interval are commonly conceptualised as quantifying the mean effect and variance in possible outcomes that would be expected to occur if new studies were conducted in the future. Heterogeneity was quantified using between-study standard deviation (I 2-statistic in the case of cardiovascular disease). Publication bias was assessed by visual inspection of contour-enhanced funnel plots and Egger’s test if there were at least ten studies [16, 17]. Where significant publication bias was found the Duval and Tweedie nonparametric trim-and-fill method was used to provide an estimate of the number of unpublished studies and an estimate of what the observed effect might have been had these studies been available . Analyses were carried out using WinBUGS (code available on request) . The classical inverse-variance meta-analysis for the cardiovascular disease outcome and assessment of publication bias were conducted using Stata version 11. Statistical significance relates to p < 0.05 and 95% CIs/CrIs are quoted throughout. The search identified 4,835 articles (Fig. 1), of which 163 were potentially relevant. We excluded 145 of these for a number of reasons: inappropriate age range; inappropriate measure of sedentary behaviour (i.e. defined on a continuum of physical activity); inappropriate design (e.g. review); data not reported on a relevant health outcome. Inclusion criteria were met in 19 studies, one of which was subsequently excluded because prospective data were available from the same cohort . Of the remaining 18 studies, ten examined the association between sedentary time and diabetes [21, 22, 23, 24, 25, 26, 27, 28, 29, 30] (n = 482,117 participants), three cardiovascular disease [27, 29, 31] (n = 80,221), eight cardiovascular mortality [27, 28, 32, 33, 34, 35, 36, 37] (n = 421,921) and eight all-cause mortality [27, 28, 32, 33, 34, 36, 37, 38] (n = 497,211) (Table 1). Two cross-sectional and 16 prospective cohort studies were included from a range of countries including Australia, England, Canada, Germany, Japan, Scotland and the USA. Three prospective studies reported cross-sectional baseline data on health outcomes that were relevant to, and included in, the meta-analysis [28, 29, 30]. The mean age of participants in the studies ranged from 38 to 63 years. Two studies included men only, three included women only and the remaining 13 contained mixed samples. In the prospective studies, mean follow-up ranged from 3 to 21 years. All studies used a self-reported measure of sedentary behaviour. Although some studies reported data on multiple sedentary behaviours, all studies reported either TV/screen-based entertainment or self-reported sitting time, or both. These were used for the meta-analysis. All studies used a self-reported measure of sedentary time. Four studies [21, 29, 32, 36] made reference to the validity or reliability of this measure. The studies varied in quality, ranging from 0/6 to 6/6 (mean 4/6): 8/10 diabetes, 3/3 cardiovascular disease, 7/8 cardiovascular mortality and 7/8 all-cause mortality studies were of moderate-to-high quality. Greater sedentary time was associated with a significantly increased risk of diabetes (RR 2.12; 95% CrI 1.61, 2.78), cardiovascular disease (RR 2.47; 95% CI 1.44, 4.24), cardiovascular mortality (HR 1.90; 95% CrI 1.36, 2.66) and all-cause mortality (HR 1.49; 95% CrI 1.14, 2.03) (Fig. 2, Table 2). The Bayesian predictive effect in a new study was RR 2.19 (95% CrI 1.05, 4.25) for diabetes, HR 1.90 (95% CrI 0.82, 4.39) for cardiovascular mortality and HR 1.46 (95% CrI 0.93, 2.24) for all-cause mortality. The cardiovascular disease results were not adjusted for baseline risk and therefore do not have an associated predictive effect as the small number of studies did not allow for meaningful adjustment. There was no evidence of a significant association between the RR/HR and baseline risk of diabetes (regression coefficient 0.79; 95% CrI −0.22, 1.92), cardiovascular mortality (regression coefficient −0.16; 95% CrI −0.65, 0.35) and all-cause mortality (regression coefficient 0.12; 95% CrI −0.20, 0.38). Limiting the analysis to studies that controlled for physical activity as a covariate decreased the precision with which pooled RR/HRs were estimated but not enough to change overall conclusions (Table 2). There was evidence of significant publication bias for diabetes (Eggers test t = 6.12, p ≤ 0.001), which would suggest that unpublished negative findings from smaller studies might exist. However, adjusting the results to account for this did not significantly alter the conclusions reached (RR 2.12, 95% CI 1.61, 2.78). Publication bias was not assessed for cardiovascular disease and the mortality outcomes as there were less than ten studies for each of these outcomes. The between-study SD in the log–risk ratio (Table 2) was 0.28 (95% CrI 0.12, 0.61) for diabetes, 0.28 (95% CrI 0.07, 0.82) for cardiovascular disease mortality and 0.12 (95% CrI 0.04, 0.32) for all-cause mortality, representing moderate to high degree of heterogeneity for the respective outcomes. Heterogeneity was moderate for the cardiovascular disease outcome (I 2 55.9%, p = 0.104). Higher levels of sedentary behaviour are associated with a 112% increase in the RR of diabetes, 147% increase in the risk of cardiovascular disease, 90% increase in the risk of cardiovascular mortality and 49% increase in the risk of all-cause mortality. Based on the pooled estimates alone, greater sedentary time is significantly associated with an increased risk of diabetes, cardiovascular disease and cardiovascular and all-cause mortality. The Bayesian predictive effect and interval were only significant for diabetes indicating that the association between sedentary time and diabetes is stronger than for mortality outcomes. Previous narrative systematic reviews have evaluated sedentary time and health outcomes. van Uffelen et al  examined the relationship between occupational sitting and health outcomes including diabetes, cardiovascular disease and mortality. They found an association between occupational sitting time and diabetes in two of three prospective studies and in one cross-sectional study. For mortality, they reported that four prospective studies found an association with an increased mortality risk, while one study found no association and one study found that sitting was associated with a decreased mortality. Proper et al  conducted a review of prospective studies and sedentary behaviours. They found moderate evidence for an association between sedentary behaviour and diabetes and strong evidence for a relationship between sedentary behaviour and cardiovascular and all-cause mortality. Some of the studies included in these reviews did not meet our strict inclusion criteria of a measure of the time spent in sedentary behaviours. Both reviews therefore included some studies that defined sedentary behaviour as an absence of MVPA. Such comparisons only confirm what we already know–that MVPA is beneficial for health. A recent meta-analysis of the relationship between TV viewing and health outcomes, specifically risk of type 2 diabetes, cardiovascular disease and all-cause mortality, included rather few studies and was restricted to only one sedentary behaviour . TV viewing has been shown to be a poor measure of overall sedentary behaviour, particularly in men, therefore TV viewing may underestimate the true effect of overall sitting-related sedentary behaviour on health outcomes. The present meta-analysis demonstrates strong and consistent associations between sedentary time and diabetes, cardiovascular disease and cardiovascular and all-cause mortality; the reported associations were largely independent of physical activity, adding further weight to the concept of sedentary behaviour being a distinct behaviour in its own right. This is an important conclusion because it suggests that the deleterious effects of higher levels of sedentary behaviour are not mediated through lower amounts of MVPA. This observation is consistent with other measurement studies. For example, MVPA and markers of sedentary behaviour, such as TV viewing, have been shown to be weakly correlated (r < 0.3), and cluster analytical studies in young people have shown separation between active and sedentary behaviours . Studies of temporal patterning of sedentary behaviour demonstrate that MVPA and single sedentary behaviours compete for time at limited periods during the day, and show that over 24 h there is time for both . However, in contrast, sedentary behaviour is strongly inversely associated with time spent in ‘light’ physical activity, such as standing and light ambulation . Therefore, on a population level, sedentary time is not commonly displaced with MVPA, but with higher levels of light-intensity physical activity. Confusion and misuse of terms related to sedentary behaviour has led to a recent consensus statement from the international Sedentary Behaviour Research Network . Our study therefore suggests that substituting sedentary behaviour with standing or light-intensity physical activity may reduce the risk of chronic disease and mortality, independently to the amount of MVPA undertaken. Studies of lipoprotein lipase regulation have identified a potential pathway through which inactivity results in some of the negative metabolic consequences identified in this meta-analysis. Enforced immobility in rats leads to a demonstrable reduction in postural-muscle lipoprotein lipase activity. This is important as reduced lipoprotein lipase has previously been associated with blunted triacylglycerol uptake, reduced plasma HDL-cholesterol levels and cardiovascular disease . Furthermore, MVPA has little impact on lipoprotein lipase activity in comparison with inactivity, highlighting the importance of postural muscle contraction activation [42, 43]. Lipoprotein lipase is the first protein to be identified in the cellular pathway from muscular inactivity to adverse metabolic sequellae. Our meta-analysis identified a strong association between sedentary time and diabetes. There are a number of reasons why this is the case. Diabetes and impaired glucose tolerance are characterised by peripheral insulin resistance. Skeletal muscle is the largest insulin-sensitive organ in the body, accounting for 80% of insulin-stimulated glucose disposal. Insulin sensitivity in skeletal muscles is dynamic and data from rodent studies demonstrate that immobility quickly leads to significant peripheral resistance [43, 44]. In addition, human bed-rest studies show that inactivity results in metabolic consequences, which include insulin resistance and dysglycaemia . Interestingly, there appears to be a specific genotype that is particularly susceptible to the adverse effects of immobility. When those with a specific T allele of the TCF7L2 gene (the most significant type 2 diabetes susceptibility gene) are exposed to bed-rest conditions, they fail to increase their insulin secretion to overcome the insulin resistance induced by muscular inactivity . Therefore, not only is there a unique metabolic pathway through which inactivity acts, but there is also a potential gene–environment interplay which determines who is most susceptible to developing diabetes when exposed to excess sedentary time. However, bed-rest studies do not reflect typical human behaviour and experimental studies are now starting to focus on the impact of prolonged sitting. Just one day of prolonged sitting results in a significant reduction in postprandial glucose and insulin . Recently, Dunstan et al  demonstrated that breaking up periods of prolonged sitting with 2-min bouts of light-intensity activity every 20 min in overweight and obese adults results in a 24% reduction in postprandial glucose AUC and a 23% reduction in insulin AUC, compared with uninterrupted sitting. The reductions in glucose and insulin were similar for both light activity and moderate activity conditions, providing support for our finding that the relationship between sedentary time and diabetes is independent of MVPA. From the evidence available, it would appear that excess sitting has a rapid deleterious impact on insulin resistance and glycaemia, explaining the strong and consistent associations between sedentary time and diabetes in the large epidemiological studies included in our meta-analysis. The main strengths of the review were the use of large population-based datasets from a range of countries and the subsequent methods used to analyse the data. Given the diverse studies included, the potential for heterogeneity in the analysis was high. This was accounted for in several ways. For example, the large variations in health outcome event rates such as diabetes 12.6%  vs 2%  were taken into account by adjusting our analysis for event rates. Each study adjusted for a different set of potential confounders, therefore we opted for the most adjusted model, before adjustment for BMI or waist circumference, which are thought to act as intermediaries in the relationship between sedentary time and health outcomes. Despite variations in the type of sedentary behaviour (e.g. TV viewing time , vs sitting time ), the measurement of sedentary behaviour within each type (e.g. sitting almost all of the time  vs ≥6 h per day ) and the geographical location (e.g. USA  vs Japan ), the direction of the association between sedentary time and health outcomes was consistent. Importantly, such heterogeneity was taken into account in our estimation of the association between sedentary time and health outcomes through calculating the Bayesian predictive effect and interval . However, there are some important limitations to consider, one of which is the high reliance on self-reported data. Self-reported sedentary time, in concordance with self-reported behaviour in general, is likely to have poor validity, which would act to weaken the association with health outcomes . Other limitations include: (1) the use of studies published in English only; (2) the use of cross-sectional data (however, the strong association between sedentary time and diabetes in the cross-sectional papers remains significant in the prospective studies, although it is somewhat attenuated); (3) causality cannot be inferred from these results and reverse causality remains a possibility. This meta-analysis highlights the need for researchers to standardise measures of sedentary time in future studies. There is also the need to continue the current trend towards more objective measures of sedentary behaviour such as accelerometer or posture measures. Nonetheless, this is the first meta-analysis to systematically quantify the strength of association between sedentary behaviour (beyond just TV viewing) and health outcomes and our findings consistently demonstrate a strong association between sedentary time and adverse health outcomes, particularly type 2 diabetes. In conclusion, the findings of this meta-analysis have important implications for future research and public health guidance. Our findings, combined with the preliminary experimental findings by Dunstan et al , suggest that reducing sedentary time may have a significant role in diabetes prevention. There is an urgent need to further investigate the impact of reducing sedentary time on metabolic health. Currently, evidence for the deleterious effects of sedentary behaviour are based on cross-sectional or other observational designs. Moreover, little is known about how best to change sedentary behaviour in adults as nearly all of the intervention work has been with young people and sedentary screen time . 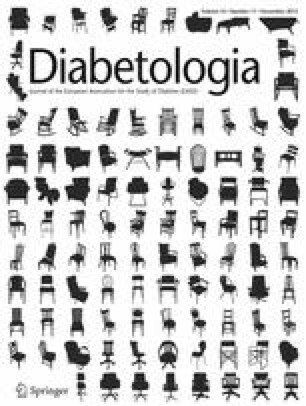 Developments are therefore required for adults, in particular, structured education approaches to decreasing sedentary behaviour in the context of diabetes prevention alongside environmental restructuring to promote less sitting [51, 52]. Future diabetes prevention programmes should consider promoting reduced sedentary behaviour alongside more traditional lifestyle behaviours such as increased MVPA and dietary change. This study is part of the research portfolio supported by the NIHR Leicester-Loughborough Diet, Lifestyle and Physical Activity Biomedical Research Unit at the University Hospitals of Leicester NHS Trust, University of Leicester and Loughborough University and the NIHR Collaboration for Leadership in Applied Health Research and Care–Leicestershire, Northamptonshire and Rutland (NIHR CLAHRC for LNR). The views expressed are those of the author(s) and not necessarily those of the NHS, the NIHR or the Department of Health. The primary author is being funded for a PhD in the Department of Cardiovascular Sciences, University of Leicester. EW, TY, MD, KK and SB had the original idea for the review. EW developed and revised the protocol with input from TY, MD, KK and SB. EW developed the search strategy, performed the searches and wrote the first draft of the article. EW and CE reviewed, extracted and analysed the data. CE, TG, TY and SB also reviewed, extracted and analysed data. LG and FA performed the statistical analysis. All authors contributed to the writing of the paper, provided input throughout the study and approved the final manuscript.